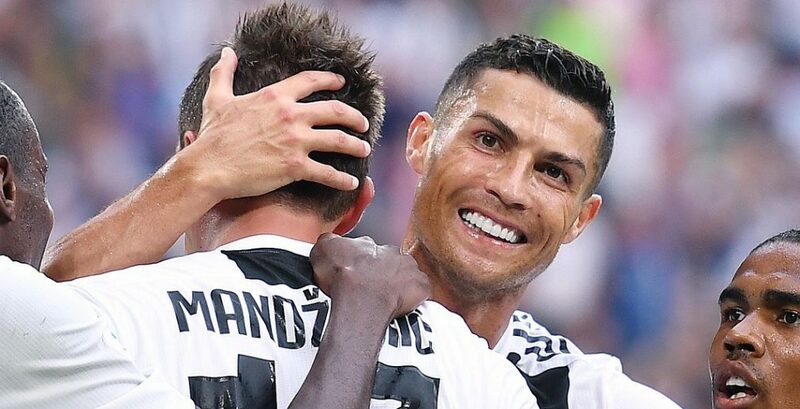 Cristiano Ronaldo’s £105million move from Spanish giants Real Madrid to Serie A champions Juventus was the biggest transfer of the 2018 European summer. 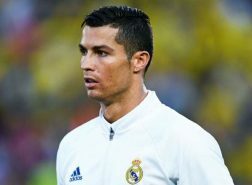 The price-tag for the 33-year-old Portuguese superstar certainly raised eyebrows across the football world, but when you consider that Ronaldo netted 450 goals in 438 appearances for Los Blancos from 2009 to 2018, there was no way he was going to leave the Santiago Bernabeu on the cheap. Reactions to the transfer were mixed, but perhaps the most vociferous criticism came from the president of Juve’s main Serie A title rivals Napoli (no surprise there). 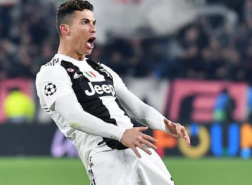 One would be tempted to write off the words of De Laurentiis as mere jealousy, but the fact that Ronaldo has failed to score in his first two matches in Italy’s top flight may just lend them a little credence. Of course, it’s far too early for any sweeping judgements on the success of the former Manchester United forward’s transfer to Turin, but the fact that his manager Massimiliano Allegri has already been moved to defend him after two goalless performances speaks for itself. Juve teammate Blaise Matuidi has also tipped Ronaldo to find the net sooner rather than later: “He is the best player in the world. For us it is something exceptional, we are very happy to play with him. “We’re going to help him score goals because it is in his DNA. We know that if he scores goals it will help us win more matches. Of course, we will learn from his game. Juventus is another culture. For him, for us, to understand his game. Ronaldo’s departure from La Liga leaves the Spanish top flight without its most bankable star, but Lionel Messi is probably perfectly happy to continue being brilliant for Barcelona and rest assured that his personal rivalry with the Portuguese will now only be played out in the UEFA Champions League if at all. As an aside, could Ronaldo have returned to the Premier League? There were rumours that Manchester United were planning on bringing him back to England, though that always seemed like wishful thinking given that Red Devils manager Jose Mourinho didn’t have a great relationship with Ronaldo by the end of his time at Real Madrid. And besides, Ronaldo’s status as the biggest fish in the pond would have been seriously threatened in the Premier League by none other than Mohamed Salah, the Egyptian forward who netted 32 goals in his debut PL season by contrast, the Portuguese’s best return in England was 31 in 2007/08. Don’t miss the 2018/2019 football season on DStv and GOtv Visit www.dstv.com and www.gotvafrica.com to subscribe and join in on the excitement.